Metal roofs are preferred for their longevity, fire-resistant properties, and quickness of installation (when done by an experienced metal roofer). They are also unexpectedly lightweight and are amazing at reflecting heat from the sun, a trait that assists property owners in saving energy on utility bills and may even qualify for a few tax credits. Correctly installed, a metal roof could last as long as the home, keeping out water, enduring high winds, and effortlessly shedding snow. Metal is resistant to rot, mildew, fire, and insects. Warranties vary accordingly, but most back their products from somewhere between 10 and 60 years. Paint finishes usually have a limited warranty of over 30 years. Compared with concrete tiles that weigh around 900 pounds per square or tile at approximately 700 pounds per square, metal roofing is tremendously lightweight. Most selections weigh around 50 to 150 pounds per square. 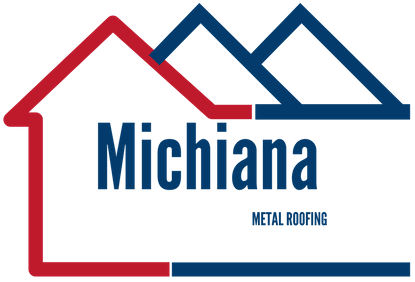 Many types of metal roofing materials may be installed over an existing roof without the need for tear-off or more structural support. Truthfully, if you’re constructing a home or a home addition, you can usually decrease the number of roof support members. A lot of metal roofing materials are available in various shingle sections or in wide panels. An experienced metal roofer can install these rapidly. If your roof is stripped off and adverse weather is on its way, reducing the job by a couple of days may have a crucial advantage. Because metal roof material is so lightweight, you can save on constructing the supporting structure. Since the materials used for metal roofs are fire resistant, they usually get a Class A fire rating. But part of a roof’s complete classification relies on materials under the surface that could burn in extreme heat. A number metal roofs installed over a combustible material, like wood shingles, have a lower Class C rating. Metal reflects glowing heat from the sun, lessening midday heat gain. This means you save energy necessary for AC during the day. Even though the material is low in insulation, numerous systems utilize a dead-air space between the roof deck and metal to improve energy efficiency. Plenty of metal roofing materials can be applied on pitched roofs without producing a leaking potential. Metal roofing is realistically unyielding to snow and rain because of the way the panels interlock and due to the surfaces are slippery and hard. Fire resistance, energy efficiency, and beautiful designs are some of the reasons metal roof last 50 years or more. The advantages provided by today’s metal roofs let property owners enhance their homes or businesses with materials of lasting value.